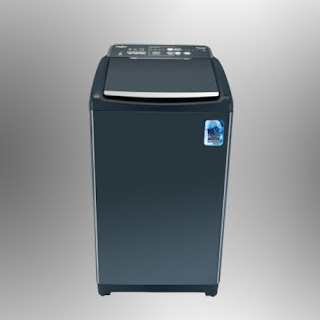 Searching for best fully automatic washing machine in India ? You are at a right place. 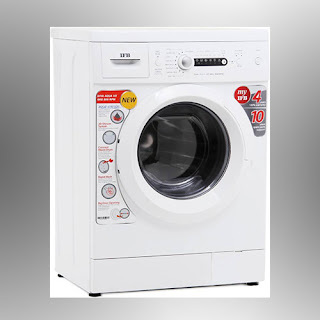 We have compiled the list of best rated washing machines on Indian market. Nowadays, people are switching to fully automatic machines as they save a lot of hassle of manually moving your laundry between washer and dryer. These machines have lot of wash programs that help in automatically choosing right wash cycle for your laundry. Fully Automatic washing machines in India start at Rs.10,000 and can go upto Rs.70,000 depending upon different brands, type and capacity. 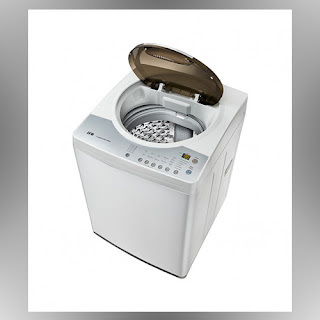 Note: If you are looking for low maintenance and budget friendly semi- automatic washing machine under Rs.15000 then check out our list of 7 best semi-automatic washing machines (2019) in India. 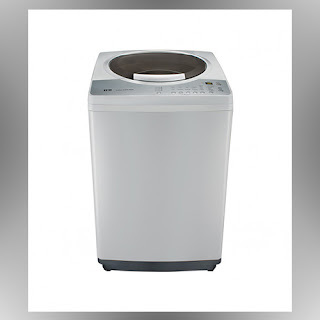 If you are looking for budget washing machine under the price range of Rs. 5000 then this is the best category. These washers are suitable for bachelors or homes with small space. 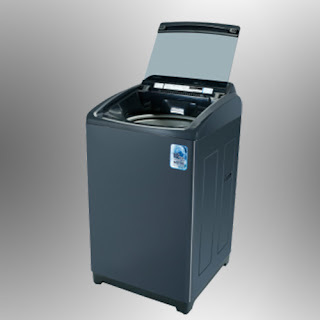 In terms of wash programs, these machines have basic wash functions like gentle and strong. 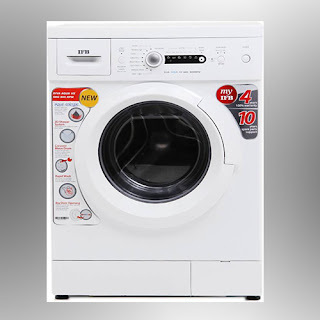 Intex and Onida are the popular brands that manufacture this types of the washing machines. This is a popular category washing machines sold in Indian market. These machines come at price ranging from 7,000 to 15,000. Semi-automatic machines require you to manually transfer clothes to dryer tub. 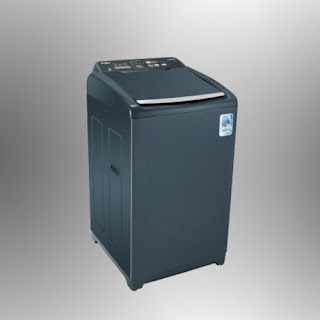 Semi-automatic washing machines consume low power and have a low maintenance cost. You can buy them in capacity from 6 to 8 kg according to your family size and requirement. 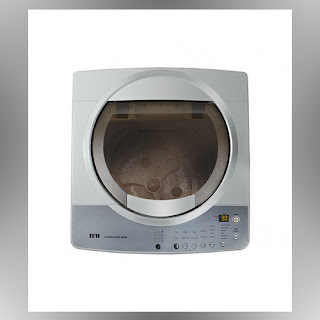 If you are looking for a budget-friendly washing machine that doesn't require continuous water connection than this is the best choice. LG, Whirpool, Samsung are the popular brands in this category. 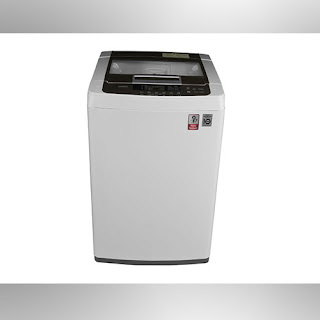 Top Load Fully Automatic washing machine doesn't require you to manually transfer your laundry. These machines have a single drum in which both washing and drying is done. You can buy these in price between 10 to 20k INR. 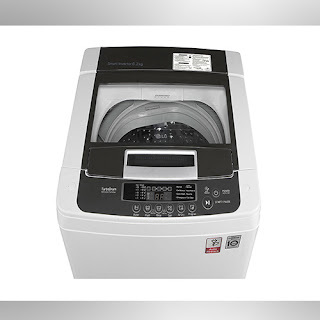 Top load fully automatic washing machines have more wash programs compared to semi-automatic. Continous water supply is needed for the efficient working of these machines. 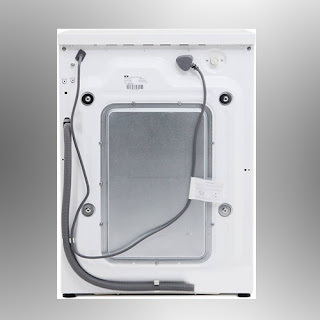 Most popular brands in this category are Haier, LG, Samsung, Whirlpool, IFB. Starting at price above 20k Rupees, Front load washing machines are much more efficient in handling soft and delicate clothes. 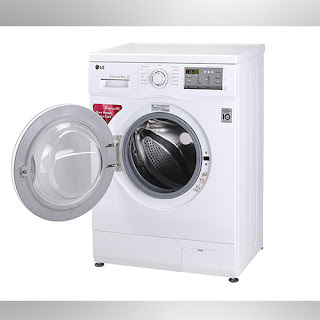 Tumbling action wash method in front load machine reduces the damage of clothes and also improves wash quality. 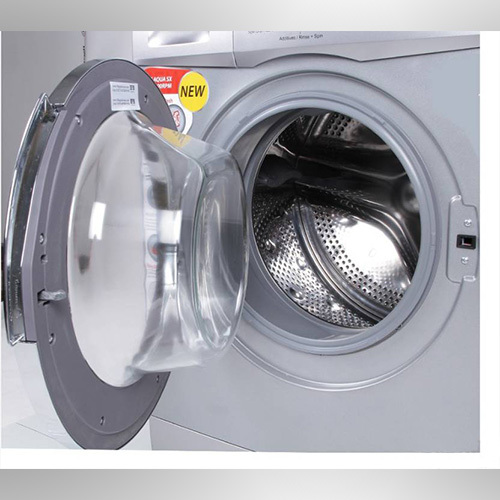 Front load washing machines offer a different wash program for each type of fabric. These machines have an option for water heating, therefore electricity consumption is also higher. As compared to top load machines, water consumption is lower but the average wash cycle duration is higher. If you don’t have any budget constraints, front load is the best choice. Popular Brands for front load are Bosch, LG and IFB. 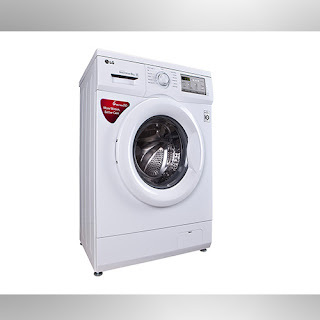 Fully automatic washing machines can be further categorised into top loading and front loading. In India top loading washing machines are more popular than front loading but nowadays peoples are also considering front loading machines due to the extra advantages they offer although they are more expensive than top loaders. Choosing a right washing machine depends upon your washing styles and preferences. 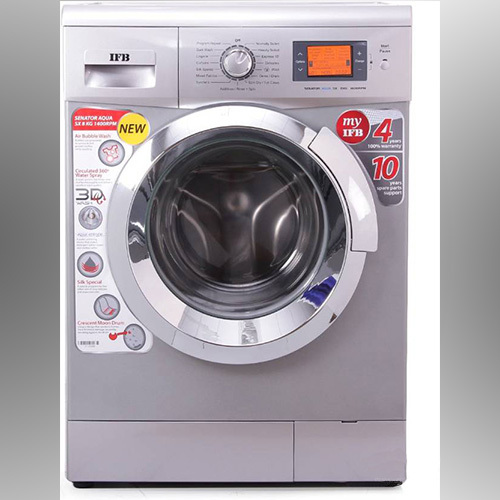 Top loading washing machine requires more water as compared to front loading machines. If you have no water shortage problem and the budget is under Rs.15000, then top load washing machine can be a better option. 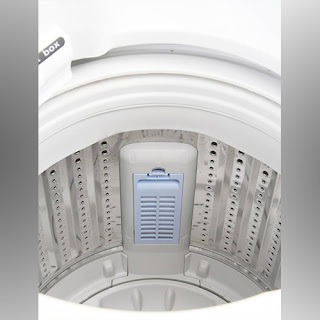 Another advantage of top load washing machines is that they require less space, adding or removing clothes is more convenient and they vibrate less. On the other hand Front Load Machines have much faster rotating speed which trims the drying time but complete wash cycle is almost 1.5-2 hour long. They also use tumbling action instead of agitator or pulsator which is gentler on delicate clothes. Wash Quality of front load machines is also comparatively better and they have more wash programs. When it comes to power consumption front load machines consume more electricity as they also have water heating option. If budget is not the constraint front load washing machine is definitely a better option. Choosing the right capacity can save you from repeating the wash cycle which will help you in saving electricity and also extend the life of your washing machine for long term use. Capacity of washing machine should be decided by factors such as number of family members and load of clothes you want to wash per cycle. 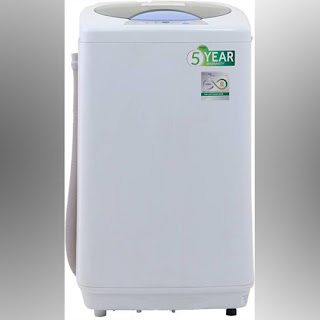 If you are bachelor or couple then washing machine of 6 to 6.5 kg would be enough for you. Family of 4 to 6 members can choose between 7-8 kg capacity and larger households with 6+ members can go for 10 kg+ washing machines. We have listed top brands in India with latest technologies used on their best models. 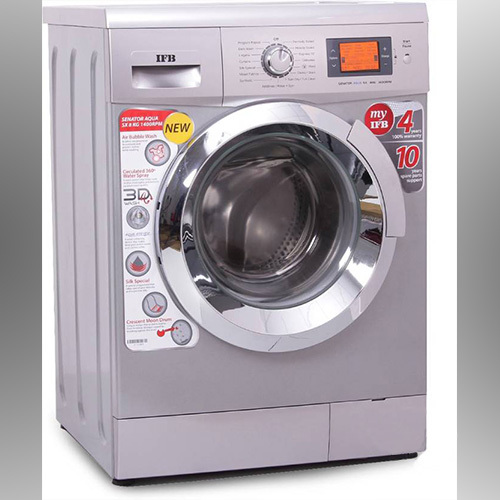 LG Electronics is the largest washing machine manufacturer with trusted service network across India. They have large range of innovative products in every budget range. LG is one of the first brands to launch latest technologies like Direct Drive and Inverter Technology. Direct Drive: LG Front Load machines does not use traditional belt system, the motor is directly attached to drum which increases durability and reduces noise. DD Technology is now also available in premium Top Load Machines. Smart Inverter Technology: Saves Energy up to 36 %. Turbo Drum: Dual direction rotating drum is used in Top Load Machines. True Balance: Reduces Noise and Vibrations. Jet Spray Technology: Uses Jet spray to remove detergent during rinse cycle. 6 Motion Technology: Combines 6 different wash motions for efficient wash.
IFB is one of the leading brands of fully automatic washing machines in India. They hold the credit of launching India’s first Front Load machine. The company now has more than 250 retail outlets known as IFB point. Air bubble wash: Air bubbles go deep inside the fabric to remove stubborn dirt. Cradle wash for delicate clothes. Aqua Energie: Inbuilt device energises the water which helps in easier dissolving of detergent. Ball valve Technology: This helps in reducing detergent wastage. Crescent Moon Drum: These unique grooves on drum prevent damage by providing water cushion to clothes. 3D wash system uses water spray to increase wash quality. Auto balance System detects unbalanced clothes and redistribute them for consistent wash.
Samsung is South Korean company that has some of the most innovative washing machines in India. 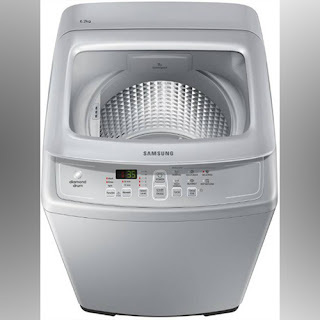 Recently Samsung launched a washing machine with quick drive technology that reduced laundry time by half. New machines also comes with Artificial Intelligence powered Assistant..
Eco bubble: This technology helps in activating detergent by using bubbles. This also helps in making detergent more efficient at lower water temperature. Smartphone Apps : You can easily check errors on machine using a app designed for ios and android. Eco Drum Clean Technology automatically notifies for drum cleaning. Diamond Drum’s soft edges prevent damage to clothes. Wobble Technology is used in top Load machines which creates multi directional flow for tangle free wash.
Whirlpool is one of the leading home appliance brands in India. Front Load Machines are designed in Europe to ensure best build quality. The company has the service network across 3500+ towns and cities in India. Sixth Sense SoftMove Technology: The Machines are able to change drum movements according to fabric type. Different wash types are: Energic wash for cotton, Power shower for synthetics, Colour bath, Wave motion, Slow motion for delicates, Soft cradle for Wool. SteamCare Technology: This technology uses steam to prevent wrinkles. This technology also helps in keeping clothes bacteria and odor free. IntelliSense Inverter motor: Helps in reducing noise and vibration. Inverter motor also reduces electric consumption. 360 BloomWash Pro is able to remove up to 40 different type of stains. Catalytic Soak mechanism helps in removing stubborn stains by soaking cloths in concentrated detergent. ZPF Technology fills drum 50% faster even at low-pressure water supply. 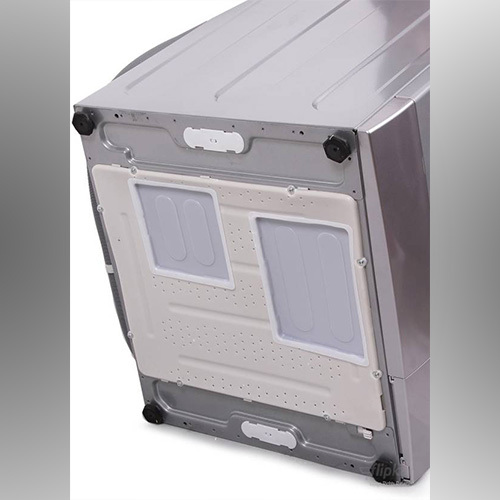 Care Move Technology: This Technology uses the hot concentrated shower for a front load like wash quality. Bosch is one of the Top Brand for Front Loading washing machines in India. The brand is known for superior German build quality. VarioDrum: Wave-droplet design is gentle on clothes. VarioDrum also helps in reducing creasing by giving your laundry more space to move around. ActiveWater Plus: Optimizes water usage using 256 load sensing levels. EcoSilent Drive: This technology reduces friction on the motor which helps to lower power consumption and also reduces noise. 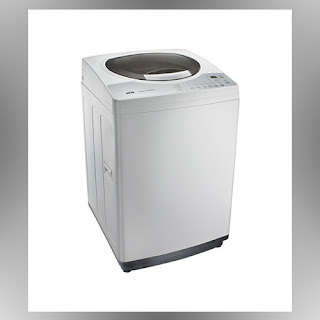 Here is the list of 10 best fully automatic washing machines you can buy in India. IFB is one of the most popular brand in front load category with customized features for Indian customers. 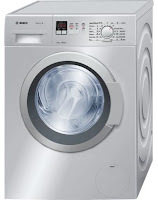 This IFB Senator Aqua is 8 kg washing machine is suitable for families up to 4-5 members. With speed up to 1400 rpm Senator Aqua is one of the fastest washing machine in its category. The drum is made of stainless steel and has unique crescent moon groves which prevent rubbing of clothes on drum by providing water cushion. 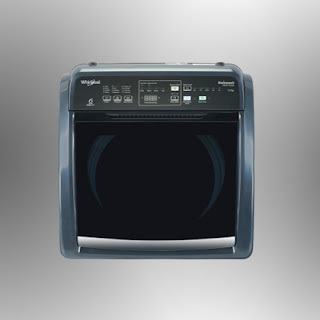 Senator Aqua 8 kg is loaded with lot of wash programs to assist you in washing different types of clothes. 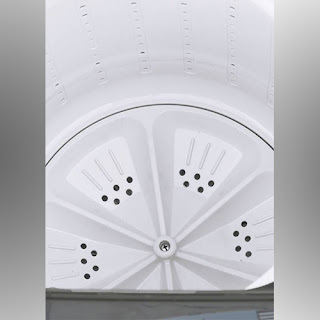 Cradle wash technology is unique feature of this machine which gives soft and gentle wash to your delicate clothes by restricting the full motion of drum. IFB Senator aqua also has inbuilt feature known as Aqua Energie which helps in softening hard water, although you still have to buy external water softener if water hardness level is above 250 ppm. Other important feature is 3D wash system which uses nozzles for circulating water in 360 degree motion helping detergent penetrate deeper in clothes. Air bubble wash is an interesting feature which helps in removing stubborn dirt from your laundry. Unlike other washing machines in this category Senator Aqua Sx can also work with low pressure water supply as low as .3 Bar. Ball Valve technology keeps the detergent in while draining water. This helps in reducing water wastage and enhances the quality of wash. Senator Aqua also has laundry- add feature which lets you add laundry even after wash cycle has started. Using Time Delay feature you can delay wash cycle up to 24 hrs according to your convenience. Reasons to Buy: 1400 rpm high speed motor and packed with impressive features like Aqua Energie. Works with low pressure water supply. Disadvantages: Weak customer service in some areas. 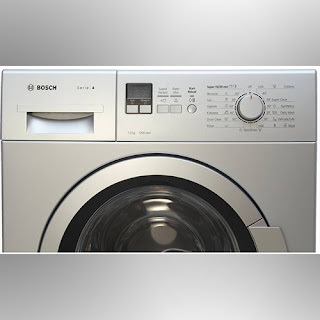 Bosch washing machines are known for their excellent build quality. Currently Bosch only manufactures front load washing machines in India. This 7 kg machine is one of the best selling front load machine for family size of 3 to 4 members. Bosch WAK24168IN has maximum spin speed of 1200 rpm and uses stainless steel vario drum. This Bosch washing machine is loaded with special features for Indian customers like sari wash and monsoon wash.
Monsoon wash is helpful in places with moist weather or if you want to remove the smell from wet clothes in rainy weather. This machine can automatically detect load of laundry to optimize the water usage. Speed Perfect option reduces the time taken for wash cycle up to 65% without compromising on wash quality. 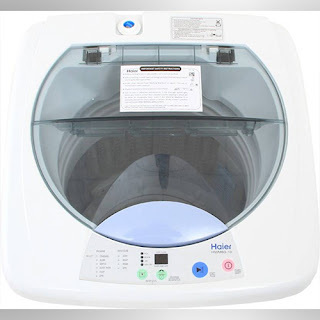 If you need quick wash for lightly soiled clothes this machine has quick wash feature which can wash your laundry within 15 minutes. Like other machines in this category you can also delay wash cycle up to 24 hours according to your convenience. Bosch WAK24168IN has inbuilt volt check feature which protects your washing machine from power supply fluctuations and can also start your interrupted wash cycle in case of power loss. 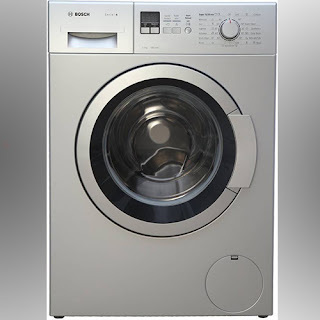 Overall we can say Bosch WAK24168IN is one of the best front load washing machine available on the Indian market and you can definitely go ahead and buy this one. Reasons to buy: Robust build and wash quality is great. Disadvantages: No option to manually change water temperature. 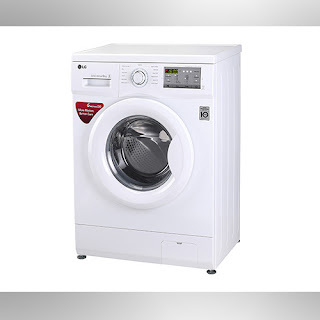 LG is household brand in India known for their quality machines and reliable service. LG has adopted futuristic technologies in its front loader machines. This LG FH0H3NDNL02 model uses inverter direct drive technology in which motor is directly attached to the drum instead of belt system. Direct drive motor results in less friction due to less moving parts which increases the overall efficiency of machine. 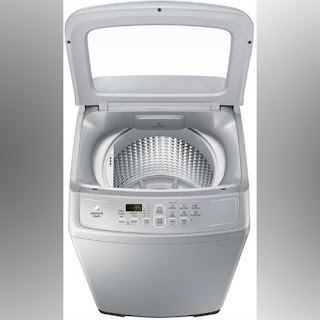 LG FH0H3NDNL02 comes with stainless steel drum which has maximum spin speed of 1000 rpm. Machine uses much less power of 1700 watts and generates low noise due to direct drive technology. LG uses 6 motion technology which rotates drum in 6 different motions giving you tangle free high quality wash.
LG FH0H3NDNL02 also has smart diagnosis app which can directly diagnose the problem with machine by placing your phone near it. Machine also has wash modes like quick 30 min wash, baby care, fuzzy logic and crease care. Water temperature can be set up to 95 °c. Reasons to buy: Silent machine with Direct Drive Technology. Disadvantage: Repair can be expensive than other models. 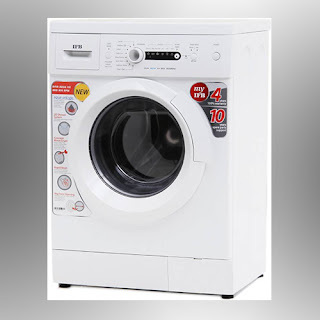 If you are looking for budget front load washing machine without compromising on features then IFB Diva Aqua is good value for money product. This machine has maximum speed of 800 rpm and comes equipped with most of features for daily use in Indian households. Diva Aqua VX has 15 wash programs including rapid wash, cotton wash and woolens wash.
IFB Diva Aqua has 2D wash system which sprays water through nozzles for deep penetration of detergent. IFB Diva Aqua also has aqua energie feature for hard water use and can work with water supply pressure between .3 bar to 10 bar. Hot water wash option is also available where you can choose between hot, warm and cold settings. Reasons to buy: Affordable price, can work in low pressure water supply. Disadvantages: Options for washing delicate clothes not available. If you are looking for fully automatic top load machine and don't want to compromise on wash quality, whirlpool deep clean can be a perfect choice. This 7 kg machine is loaded with innovative technologies like DynaMix, ZPF and 6th Sense. Whirlpool Stainwash Deep Clean has spin speed of 740 rpm , weighs 29 kg and has power consumption rating of 360 watt. 6th sense technology with 3D Scrubs helps in deeper penetration of detergent and can remove up to 10 different types of stains. Other important feature is ZPF technology which can fill drum 50 % faster even at low pressure water supply. 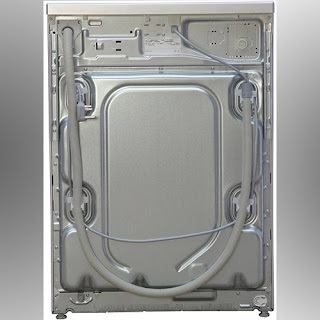 This washing machine also has hard water wash feature which adapts wash programs for washing in hard water. Overall we can say this washing machine can be a good choice if you looking for convenience of adding / removing laundry and portability of top loader but don't want to sacrifice on wash quality. Reasons to buy: Innovative Technologies like 6th sense and DynaMix for efficient mixing of detergent. Disadvantages: Water heater feature is not available, higher price tag. 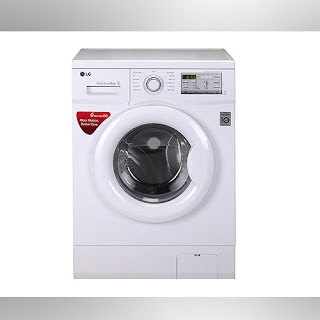 Another best selling washing machine in our list is RDW Aqua by IFB. 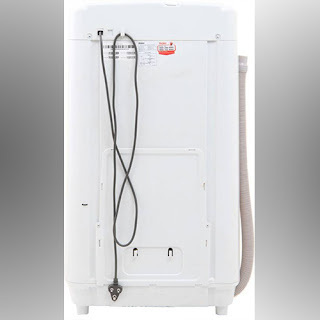 This Top Load washing machine comes with stainless steel crescent moon drum like IFB front loaders which provide water cushioning for clothes. IFB uses Triadic pulsator for this machine which has soft scrub pads, swirl jets and centre punch for removing stubborn dirt. RDW Aqua Fully automatic washing machine has 3D Wash System which rotates your clothes in 360 degree motion by spraying water. Special compartment for automatic bleach and softner dispenser are also provided . RDW Aqua comes with 6 different wash programs like delicate, jeans, express, aqua conserve, smart sense and tub clean. Other premium features like aqua energie for hard water wash and time delay are also available in this machine. Reasons to buy: Unique features like 3d wash and aqua energie. Samsung is another popular brand in top load category known for its build quality and elegant design. 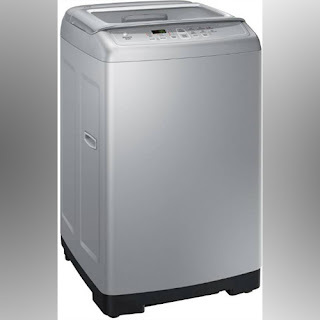 This top loading fully automatic washing machine has easy to use functions and comes with spin speed of 700 rpm. Stainless steel diamond drum which has diamond shaped depressions helps in preventing damage to clothes. Samsung uses wobble technology in this machine which helps in multi-directional movement of clothes using specially designed pulsators. You can choose from 6 different wash modes (Quick Wash, Delicates, Soak+Normal, Blanket, Jeans, Eco Tub Clean). If machine is dirty it can automatically notify using led indicator and you can start the cleaning process easily by pressing eco tub clean button. 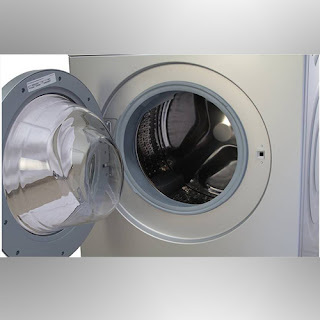 Other important feature is air turbo dry which lets in more air through air turbo vents reducing the overall moisture from clothes as well as drum. Reasons to Buy: Wobble Technology and air turbo dry. 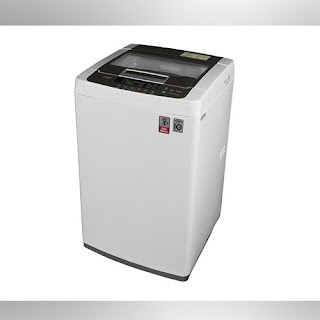 This 6.2 Kg fully automatic washing machine by LG is ideal for family of 2-3 members. 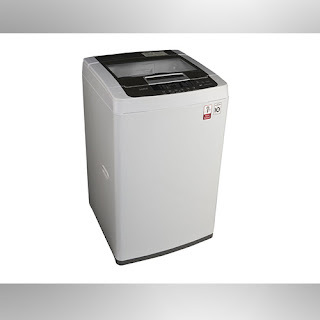 Like other machines listed above LG T7281NDDLG also has innovative technologies like Turbo Drum and Smart Inverter. Smart Inverter Technology increases the energy efficiency of machine and reduces the vibration and noise. This machine has maximum spin speed of 740 rpm and comes with stainless steel turbo drum. LG's Turbo Drum technology helps in deep wash by rotating drum and pulsator in opposite direction. Machine has Punch+3 pulsator which uses 3 small pulsators to create upward stream of water for evenly mixing of laundry with up and down motion. 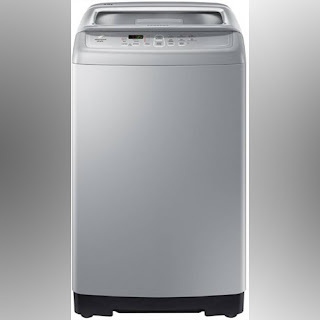 LG T7281NDDLG comes with all the main wash programs like general, wool, jeans, aqua reserve and tub clean. For tough stains prewash option is also provided. Other important feature is delay start which can delay machine according to your convenience between 3 to 18 hours. 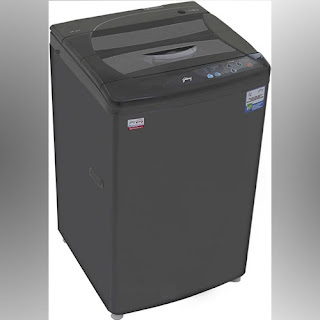 Haier HWM 58-020 5.8 kg is another value for money fully automatic washing machine. This is one of the best selling machine on online shopping sites in India due to its features and perfectly pitched price. Machine has 1000 rpm spin speed making it one of the fastest machine in its category. Power consumption rating of Haier HWM 58-020 is also on lower side with 325 watt. In terms of design machine has compact rust free body with stainless steel drum. Double drive technology ensures perfect wash by rotating drum and pulsator in opposite direction similar to Turbo Drum by LG. 6 essential wash programs are available including fuzzy logic and 10 min quick wash.
Machine also has soak function for tough stains and you can delay the start of machine up to 24 hours. 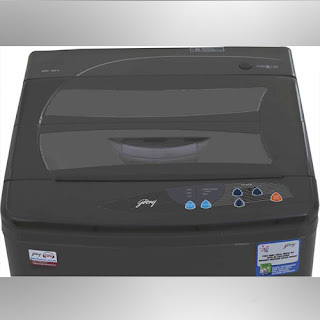 Reasons to Buy: 1000 rpm spin speed, double drive technology at affordable price. 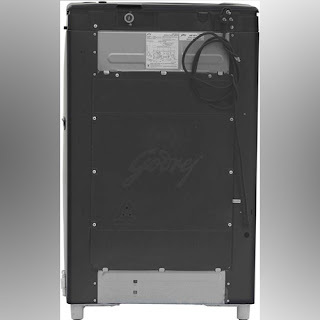 Final product in our best fully automatic washing list is Godrej GWF 580 A. This compact 5.8 kg machine with easy to use interface has spin speed of 700 rpm and comes with plastic tub. Fuzzy logic can determine load of clothes and choose optimum level from 3 water levels. Machine has 3 wash programs regular, synthetics and heavy. Cabinet of machine is made using galvanized steel coating. If you regularly use bleach or softener on your clothes, this machine has automatic dispenser for this task. Godrej GWF 580 A can automatically correct any load imbalance through imbalance load corrector preventing damage to your clothes. Reasons to buy: Simple and easy to use, Affordable Price. Here is the price list of 10 best selling LG washing machines in India.